Today I am sharing my Tea Tree and Orange blemish bar recipe that I created for my teens. It is a Hot Process homemade soap recipe that is made in a crock pot, cooked the old fashioned way. NOTE: my olive oil was infused with fresh rosemary, here's how to do it, it's not hard. 1 oz (or less .5 oz ) Tea Tree essential oil also known as melaleuka oil, a powerful antibacterial, antiviral, antifungal oil that has the awesome ability to kill the bacteria that cause acne development. You can actually dab Tea Tree directly on a blemish. well as helps with acne and dermatitis. Improves skin tone and texture. Vitamin C is great for your skin. Refreshing, uplifting scent! Ok, our heavy hitters here are our Avocado butter, beeswax, Tea Tree and Orange oils. Along with the rosemary infused olive oil. If you don't want to make the infused oil, you can use Rosemary essential oil, just switch out a little of the Tea Tree for it. Keep the total essential oils around 1.5 oz. I mixed the Bentonite clay in a little of the oil, using a small frothing wisk to get out all clumps, and added it back to the melted oils. I then Hot Processed as normal. I added my lovely essential oils after the cook. I hot processed this specifically so I could add my essential oils in after the cook, after the lye had been neutralized to ensure full benefits of the oils. This is a very aromatic bar, quite strong. This quality of a specialty blemish bar in any store would be quite pricey. If you make it yourself you save money, and get a superb quality of natural goodness for your skin. Unbeatable. So, if you have not Hot Processed soap yet, and been thinking about it, give it a try! 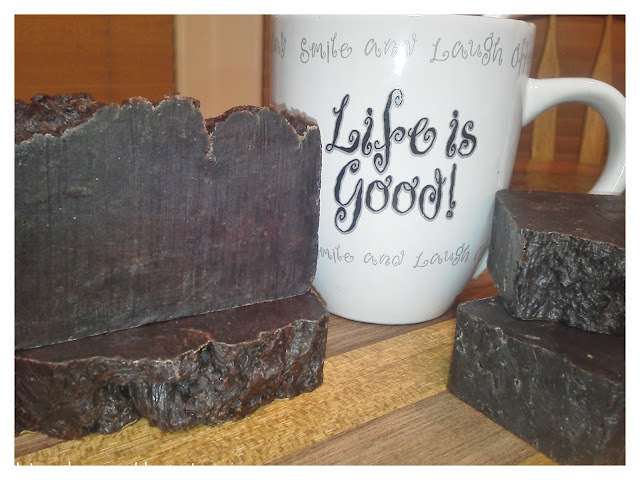 Here is a link to a tutorial I made on making Hot Processed crock pot soap, using only 3 oils. It is a great, bubbly, moisturizing recipe that I think you will love! Note: You should always run a recipe through a lye calculator before making it, or if you change a recipe in any way, please run your new recipe through a lye calculator before proceeding. I use Bramble Berry's lye calc. 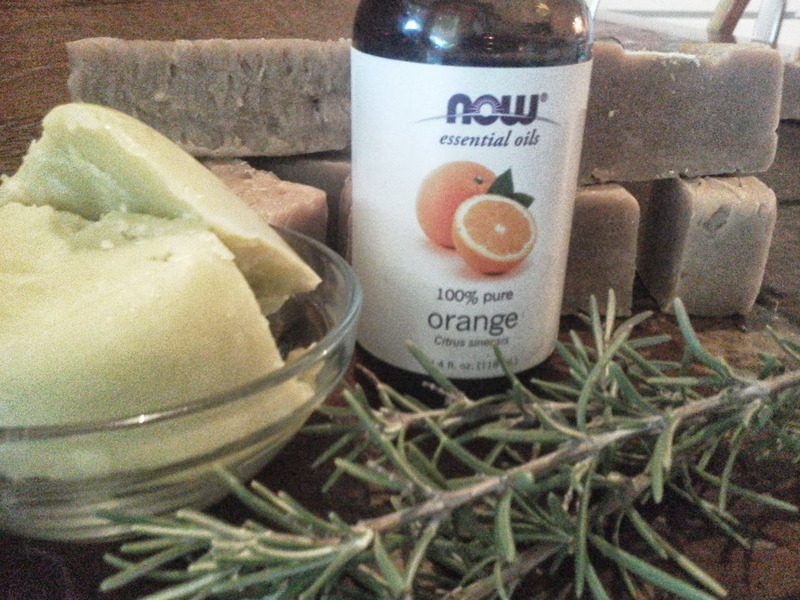 This is my personal soap recipe I use for my family. 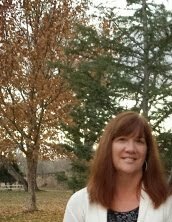 Not meant to diagnose or treat any skin ailment, I am not FDA approved! ha! Any questions ? Just leave a comment. Enjoy ! Let me know if you make this wholesome bar! Jill, you're welcome! Just found your blog and started following it. 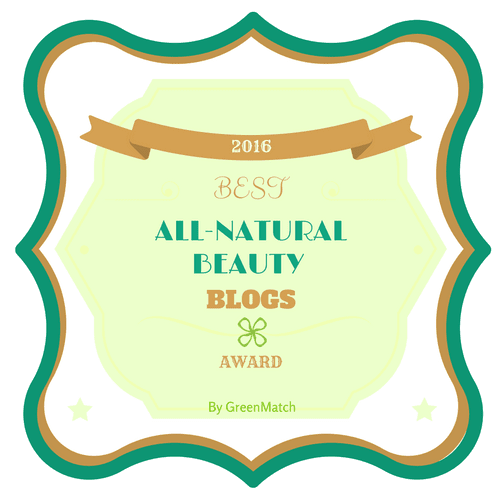 Love it, lots of great natural recipes and info there! Oh Anna, that sounds like a wonderful natural recipe. I think it's great gaz. This soap will surely love your children well. Many greetings to your Family. hi, I love your recipes and Im gonna try this one out for sure! Could you tell me if something can be substituted for the avocado oil as its the only thing I cannot find locally. eBay sells it as well. I will have to research it and see what I would use to replace avocado butter, as it has such unique qualities, and get back with you. Hi again Wanda, I use a 6% superfat. I also found out that avocado oil has the same properties in soap as the avocado butter. Only a small amount is needed. For avocado oil you only need 5% or less in your total fats/oils. With avocado butter they recomment 3 - 5%. Hey Wanda, wow, great idea to try Kokum butter in this recipe, love to hear how it works for you. I've never used it, but have been wanting to. 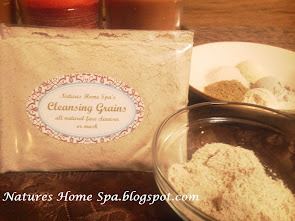 It is supposed to be great for the skin, restorative, regenerating, etc. Thinking about trying it in a solid lotion bar. Does it have a scent? 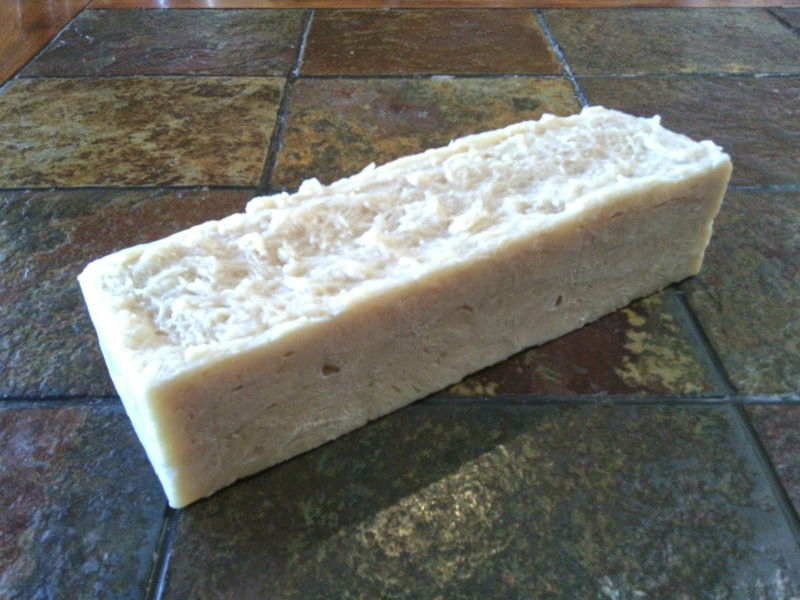 I made this soap bar to help my families skin issues, and we've been pleased with it. It dried and was very hard, but I did it Hot Process because we needed it. Yours will probably harden up just fine. Love to hear how you like it when its cured! Anna, the kokum butter has a light scent, I wouldnt say its a good scent but not bad either. The smell doesnt come through though when used in products. I even use it in some of my lip balms. It is super creamy feeling in the lip balms :) I chose it for this soap because it is supposedly good for the skin, it promotes skin elasticity, contains vitamin E, its Non-comedogenic and absorbs quickly into the skin. Since I am 34 and still fighting with acne but starting to get wrinkles I thought this to be exactly what I needed in a butter! You should try it sometime, you will love it, it is definately a staple for me in many of my products. I will let you know when my soap is ready, Im sure Im going to love it, the waiting is killing me haha! Wanda, I am totally going to try the Kokum butter. After you mentioned it I started researching it some, and it sounds great! Thanks for the tip. If you'd like, send a picture of your soap and I'll put it on the blog, we love to see other soaper's creations! I think you will like this soap recipe, my family has really noticed a change in their skin when they use this regularly. Wanda, awesome! So glad it came out good for you and you like it. We love it in my house. Send a picture to share if you want. I am ordering Kokum butter, yay! Can't wait to try it. Kirsten, come to think of it, I'm not sure the exact size, I bought it used at a thrift store, here is a link to a tutorial I did using the same crock pot, with a picture of it, so you can it and gage it for yourself. Hope this helps. Hello! I have a question. I don't usually use Lard in my soap recipes so can it be replaced with a comparable vegan alternative? Also, I have never made hot process soap before. I only know how to make cold process soap. Can I make this recipe using cold process? Also the little mold I have for making tiny batches for when somebody wants to just try a bar only holds about 23 to 24 ounces of total oil/water so it makes about 5 bars. I see that you supplied the percentages for the oils....that's good I can figure out how much oil to use, but, I am not sure how to decrease the amount of EO's and the beeswax. Can you help???? Thanks tons! Kim. Hi Kim,... I use my EO's at 1 oz essential oils to 1 pound of oils before water. With Tea Tree you can use less, and still have the benefits as it is strong. I combined the EO's in this recipe to total my desired amount. I used more orange oil than tea tree. Orange has to be put in when the soap has cooled a bit to keep it's benefits. That is why I do this recipe Hot Process, so I can add the EO's after the cook has cooled a bit. If you need help with the lye calculator and your recipe please email me your exact recipe and I will help you with it. No problem. Kim, I just realized I didn't answer all your questions, my apologies. About the beeswax amount: I keep my beeswax amount under 5% in any of my recipes. So, anywhere from 3-5% would work great. Can I use avocado oil, in place of the avocado butter? I know I will run it through the lye calculator. Will it work okay with the oil instead of the butter? Hi Terrea, yes you can use avocado oil instead of the butter. I have and it works just fine. I have a question. Why the beeswax in soap? I have never used it in any soap. Is it important to the recipe? I have had people ask me if there was beeswax in my soap and was happy when I said no. Just learning. I really want to try this but I wanted to know that first. May try my first hot process soap??? Thank you! Shari, sorry I am so late in responding, I don't know how your question got by me! OK, about beeswax in soap...first of all it is a natural antioxidant, is antibacterial and helps to lock in moisture, as well as protects and softens skin. These are properties that compliment this particular recipe of soap. Beeswax makes your soap harder, hence making it last longer. It is known to be very soothing to skin. So.... I don't know why people were happy it wasn't in your soap, perhaps they wanted a vegan soap? As a soap ingredient you can feel confident using it. Experienced soapers recommend it be used at 5% in a recipe or less. Cold Process soap makers say that it helps in keeping soap ash free as well. Is it important in this particular recipe? I feel it is as it is wonderful for the troubled skin crowd and brings just the sort of properties to the table that I was looking for! If you substitute it for something else, please be sure and run the recipe through a lye calc! Give beeswax a try and see what you think. Soaping is a lot of fun, there is SO much you can do with it! thanks for the great question, hope I was of some help! I don't have any bentonite clay at this time, but I do have sea clay. Since sea clay has oil absorbing qualities, do you think it would be ok to substitute that for the bentonite or should I just wait and order the bentonite clay? Thank you! Hi Wanda, sorry for the delayed response to your question! Yes, substitute the bentonite clay with the sea clay if that is what you have on hand. The color of your soap will be a little darker. From all I've read about sea clay it would be great in an acne or facial bar such as this. oils, being sure to get out all clumps, as I describe in the post. Not a problem with the delay at all. I decided to go ahead and order the bentonite clay, I'm awaiting it's arrival to make the soap. Think I'll still make some with the sea clay as well. Thanks so much for sharing and responding! Love your blog. 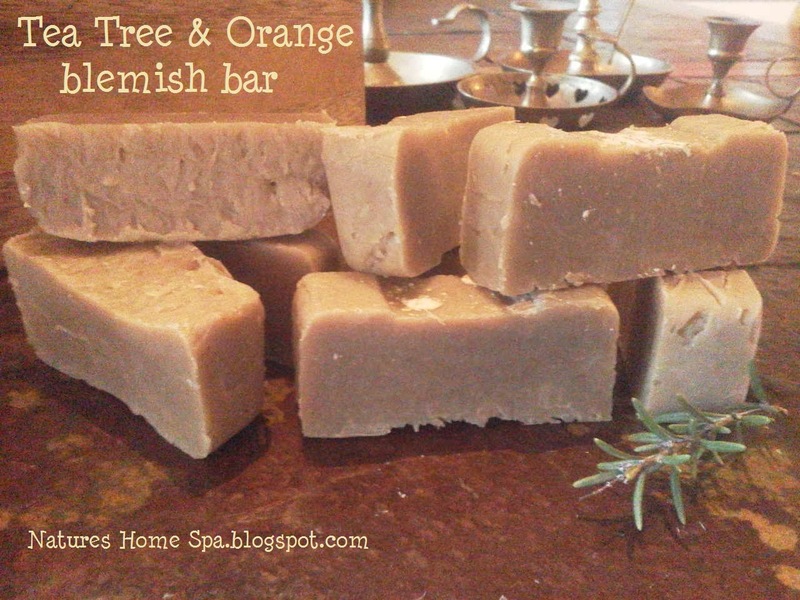 Loved this soap recipe and I am going to try it out for my teenage kids. I am a vegetarian and am planning to substitute cocoa butter for lard. What is the ratio i should be using? and can this recipe be made using the CP way? Thanks for your time. Yes you can substitute the lard in this recipe for some cocoa butter. I say "some cocoa butter" because ideally you only want to use 5-15% cocoa butter in a recipe. In my opinion. Too much cocoa butter will make your bars brittle. So, maybe swap out the lard with cocoa and palm oil. I get my palm oil in solid form from a restaurant supply store. than the above recipe as this one has more oil volume. Yes, you can do this same recipe as cold process. Here is a link to a great Oil Chart for Soapmaking. and the best percentages to use. Hi Anna, so sweet of you to post the modified recipe and the link. Thank you so much. I will definitely try this one out. Hello, I am on my 8th batch of hot process soap and loving it. I am trying to find a basic oil recipe and add Essential oils clays etc from that base recipe. Is that a good idea from your experience? I have tried a 16/16oz each Avocado oil and coconut oil bar and so far my favorite. Why is this not a good idea? Also recently tried 11/11/11oz each Olive coconut and Avocado and added about .30oz of rising sun tea tree Essential oil at the end to make an acne bar for my son.I am sensitive to tea tree in the past so only used it on my oily chin nose area and it seems harsh and a bit drying. It smells awesome. I used less because I know it is strong. Have you noticed different brands are more potent than others or do you think I am just sensitive. I am a bit worried to have him try it :( I have not used the highest quality items yet because I am still learning. Thanks for all the great information.